A few Samsung smartphones are staring the month of September with new software updates. T-Mobile is now sending updates to its Galaxy Note 8, Galaxy S8, and Galaxy S8+. 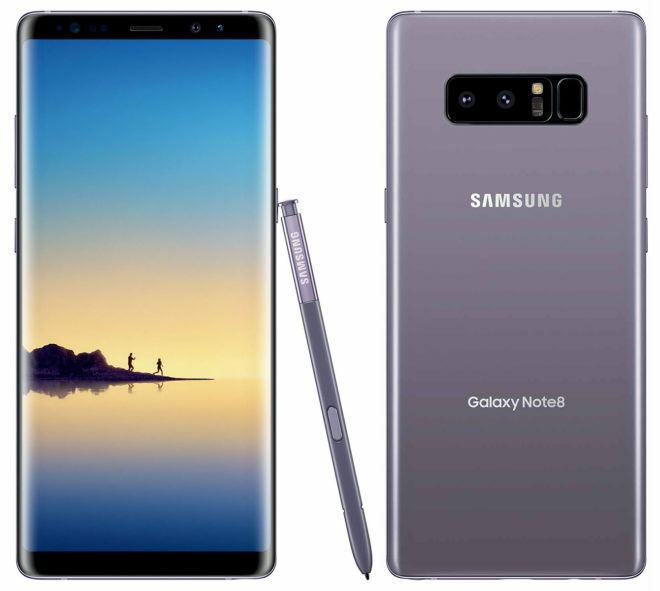 Note 8 owners should be on the lookout for version N950USQS5CRG9, S8 owners are getting version G950USQS5CRH1, and S8+ owners are receiving version G955USQS5CRH1. 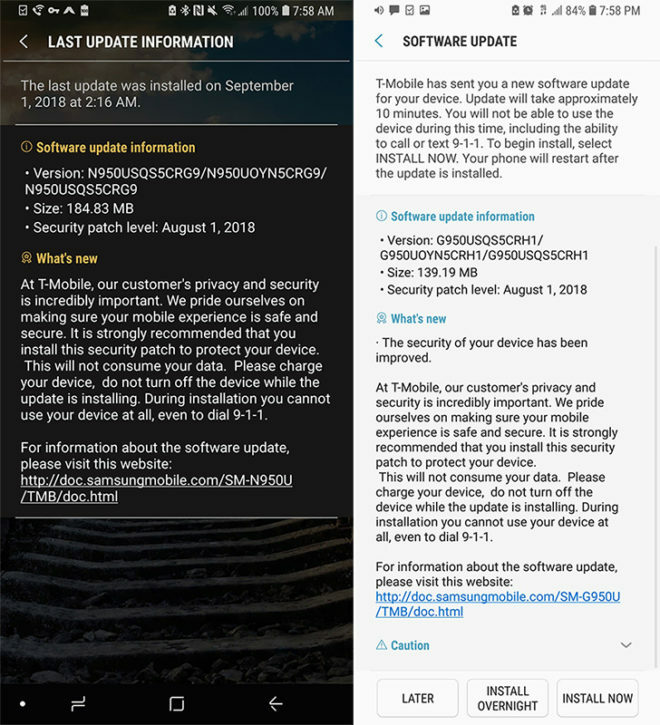 As for what’s included in these updates, it looks like all three phones are receiving the August 1, 2018 Android security patches. If you’ve got a T-Mobile Galaxy Note 8, Galaxy S8, or Galaxy S8+, your new update should appear on your phone in the coming days. You can also check for it manually by going into Settings > Software update > Download updates manually. Thanks, Bryan, Joanna, and Michael! Nice to see Samsung and Tmobile keeping up the software update game. I would’ve picked up an S8 had it not had Bixby. Ditto with Note 9. Google Assistant is still available on the S8 and Note 9. Holding down the home button triggers Google Assistant, and you can enable “ok google” if you prefer. Bixby button can be disabled, and the Bixby home page can be turned off. With everything Bixby related turned off, the only thing that can still trigger Bixby is if the Bixby button is held down for a few seconds.